Aston Villa suffering a 3-0 defeat to Wigan Athletic was bad enough for supporters to bear, but the performance of debutant Kortney Hause tipped them over the edge. 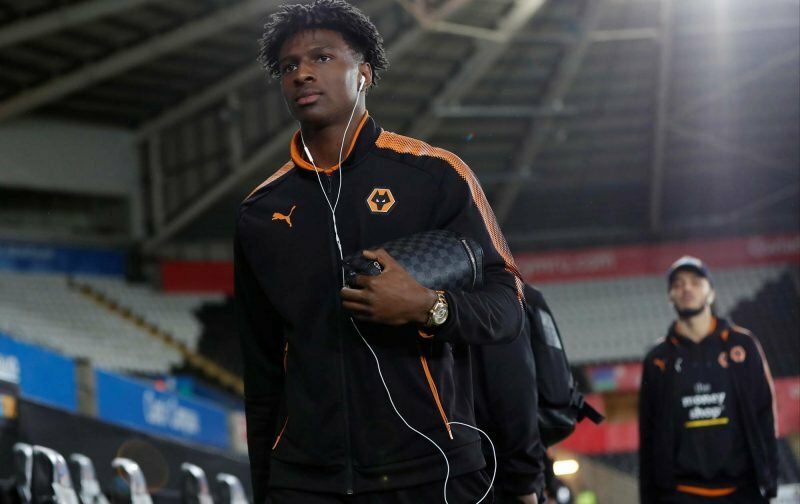 With Dean Smith having a defensive crisis, he brought the Wolverhampton Wanderers centre-back to Villa Park on loan and brought him off the bench after the hour mark on Saturday. Hause struggled, however, and gave a bad first impression to fans who weren’t shy about voicing their criticism on social media. The 23-year-old looked nervy on his debut and fail to showcase exactly why Smith opted to sign him. I though Wolves trying to sway Abraham was there real attempt at screwing us over. It turns out, giving us Hause was the real plan all along. And a quick shout-out to Kourtney Hause who made the worst debut I’ve ever seen in my years as a Villa fan. Absolutely killed our build-up play. Tried to be fancy as a CB and was dispossessed at least 4 times in our first third of the pitch. Could not pick a pass either. Prior to his arrival at Villa Park, the centre-back made 80 appearances for Wolves in all competitions. He struggled for minutes this season, however, spending most of the campaign on the bench or outside of the matchday squad. Smith now has James Chester, Axel Tuanzebe, Tommy Elphick and Hause to choose from in the defence, but Saturday’s performance won’t have done the latter any favours. Hause completed only 64% of his 22 passes and won just one aerial duel in his 30 minutes on the pitch. Villa next welcome Hull City to Villa Park on January 19. Victory could see them go within two points of the playoffs if the results go their way. Smith said he sat the players down to watch clips of Man City v Liverpool game , hope he does the same with Man City v Wolves game and shows the players the last ten minutes on the game , Man City 3 – 0 yet they were still pressing , working , grafting , running. take note Villa players , you only get out what you put in and compared to five weeks ago we look a completely different team, if we were playing as well now as then we would probably be in the top 4 pressing for top two but just like when Bruce was at Villa a switch appears to of been flicked and we go absent for a period of time. We can still make play offs but must start to back up all the words off pitch and training pictures with delivery on the pitch over 90+ minutes , we appeared to be playing a controlled intensive attacking game, now its ragged, defence is under pressure as the midfield transition to attack just isn’t happening, yes I know Grealish is absent but if we don’t go up this season he will probably say ‘enough is enough’ and head to the premiership with another team. As well as defenders we need TWO midfielders to come in , give us legs, options and some better defensive and attacking intent.